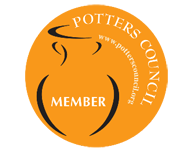 For those who are looking for a great activity to do with a Spouse, Partner, Buddy, Pal, BFF, Parent, Child or Neighbor, you should consider a "Couples" Pottery Class. Sometimes, things are just better with someone there with you. Also, the cost of the "couples" class is only $40/person/class. That includes all the material needed from start to finish and you get to take your creation home!! This would make an excellent gift idea for a couple or friends to do something creative together. 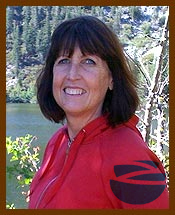 Class times are flexible so contact us to schedule a class. We can't wait to hear from you! This microwave and dishwasher safe Bean Pot is fantastic and versatile cooking implement. The Bean Pot creates a stone oven, makings it own savory juices. It also keeps food warmer longer while serving and the clay also retains the cold. This means you can serve potato salad, or any other chilled dish, colder longer. And what other cooking dish can you take from the oven to the table or buffet that looks this nice? ​Pot roasts, corned beef and cabbage, or hot artichoke dip can all be made easily in a Bean Pot. Many crock pot recipes can be converted to the bean pot. If the dish needs to cook in a slow cooker/crock pot on "Low" for 8 hours, it will only take 2 hours covered at 325 degrees F in the Bean Pot. If a recipe calls to cook on "High" for 3 hours, it will cook in the oven, covered for 1 1/2 hours at 325 degrees F.
1) Start out by browning 8 slices of chopped bacon, and 1 large sweet, chopped onion in a medium size skillet until the bacon is done, and onion soft. Add it to a bowl. 2) Two cans of Bush's baked beans (or your favorite) and add it to your onions and bacon. 3) Add: 1 t. of liquid smoke, 1 T of yellow prepared mustard, 1/2 cup of barbeque sauce,1/4 t of black pepper, 1/2 c. of light brown sugar, and 3T of maple syrup. Mix all , being careful not to smash the beans. Taste. If it is too sweet, add mustard. Too sour, add brown sugar. 4) Put in bean pot and bake in oven for 1 hour @350 degrees uncovered. Copper Cat Studio 300 Kresge Lane in Sparks, off I80 & McCarran. The artist-craftsperson goes through a process called wedging before a piece is worked either on the wheel or hand-built. The clay is first cut, smacked and slapped to expel any air bubbles and create an even consistency throughout. 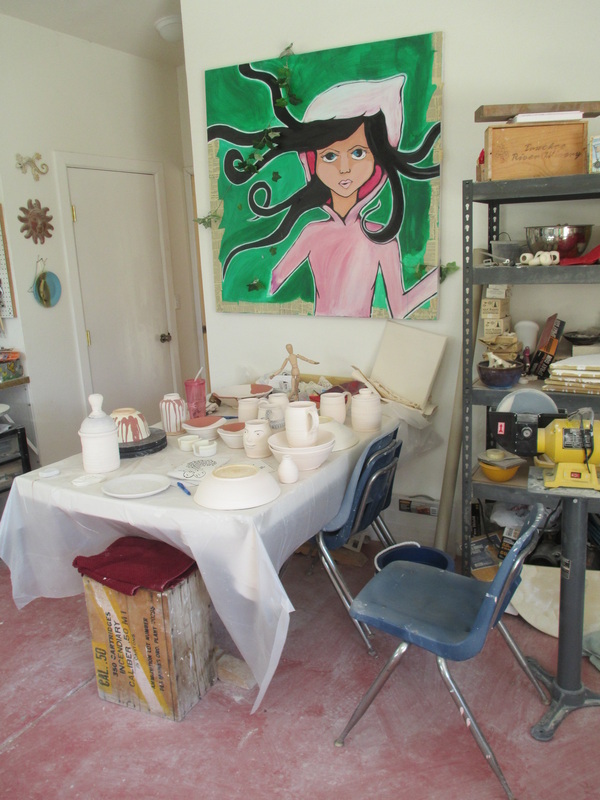 The clay is then shaped with the artist's main tools, the hands. The obliging nature of clay allows almost any shape. 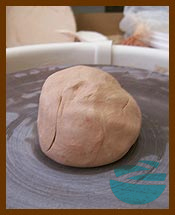 When the shaping is complete, the piece is set aside and allowed to dry. Drying is done slowly to avoid cracking as the evaporation of water changes the size and shape of the piece. Once the pieces are leather-hard, they become known as greenware. At this point, decorations or carvings, handles or modeled pieces can be added. 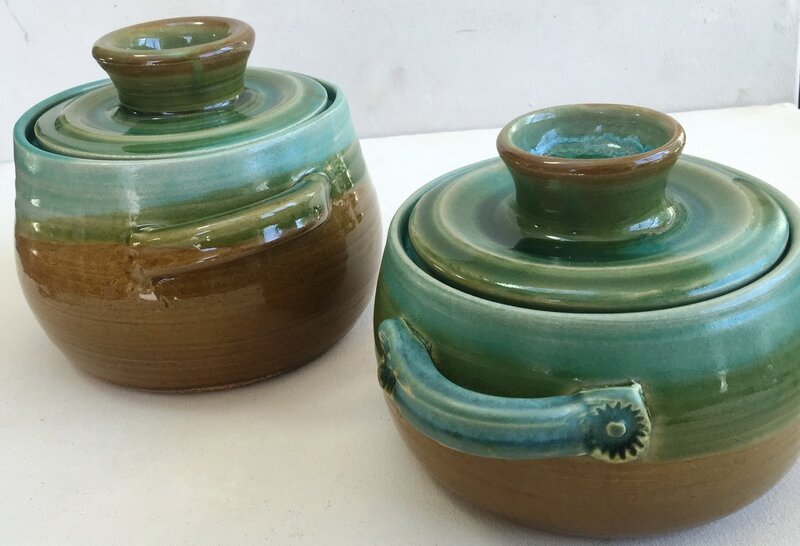 When this greenware is thoroughly dry it is ready for firing in a pottery kiln which can reach temperatures many times higher than the conventional oven. This first firing is known as the bisque, or biscuit. 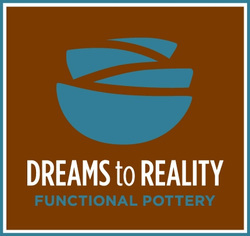 Bisque ware is usually porous with the natural color of the clay used and somewhat rough – like the familiar terra-cotta pot. Most pottery pieces are more useful and made more pleasing in appearance when coated with a glaze. The glaze coating, made up mainly of silica, serves to seal surfaces and make them smooth, hygienic and colorful. In most cases the glaze mixture is applied to the bisque area with a small brush, hand dipped or sprayed on. Color and surface textures of the glaze develop during the second or what is known as a "glost" firing. Within this basic process there many variables of clay bodies and techniques such as wood firing, crystal firing, raku and even adding horsehair to create used and useful pieces of art.